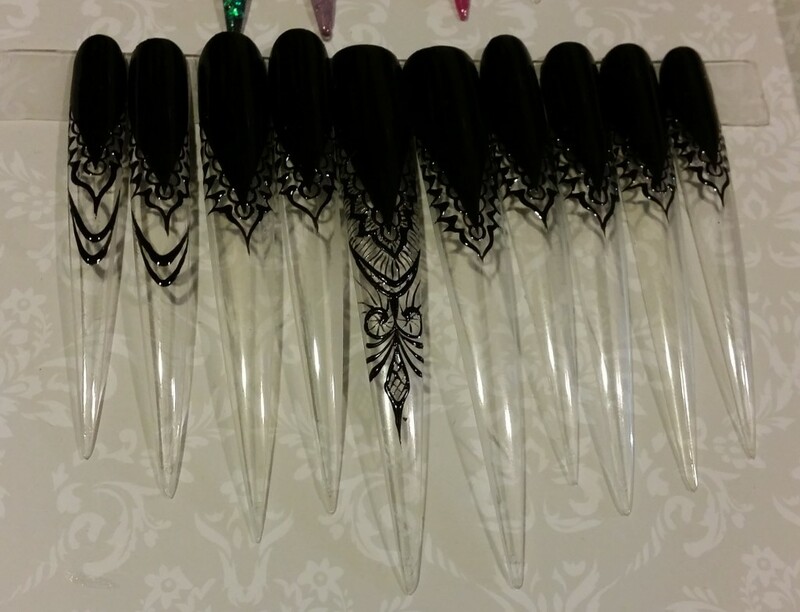 In this ever changing world of nails, there are many ways to create great works of art and generate cash flow doing something that you love. You can work in spas, full service salons, booth rent or own your own business. 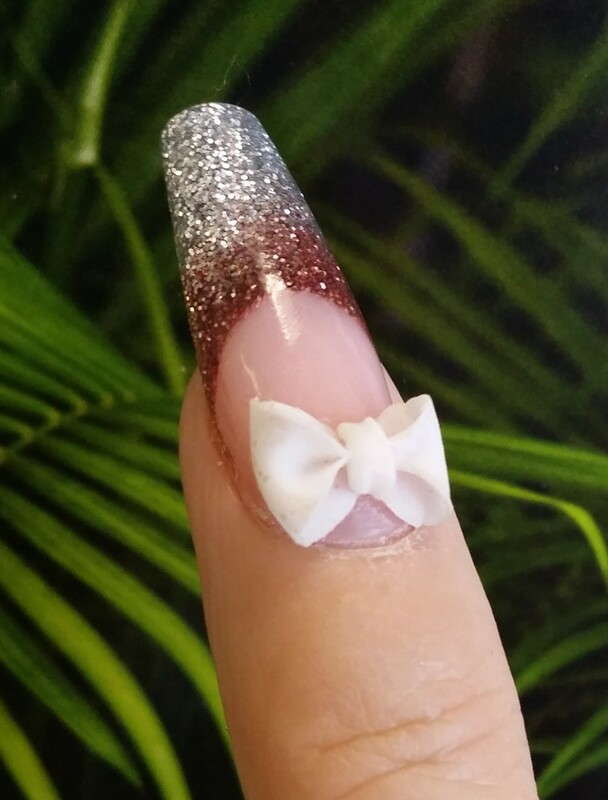 You can become a manufacturers educator or be a freelance nail stylist to the stars! 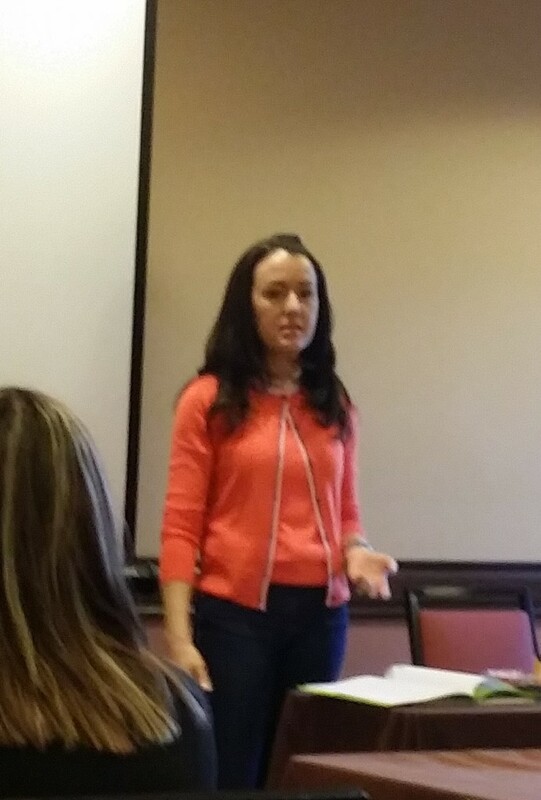 Another way to generate income while staying within our field is being offered by Liz Morris from The Nail Hub. 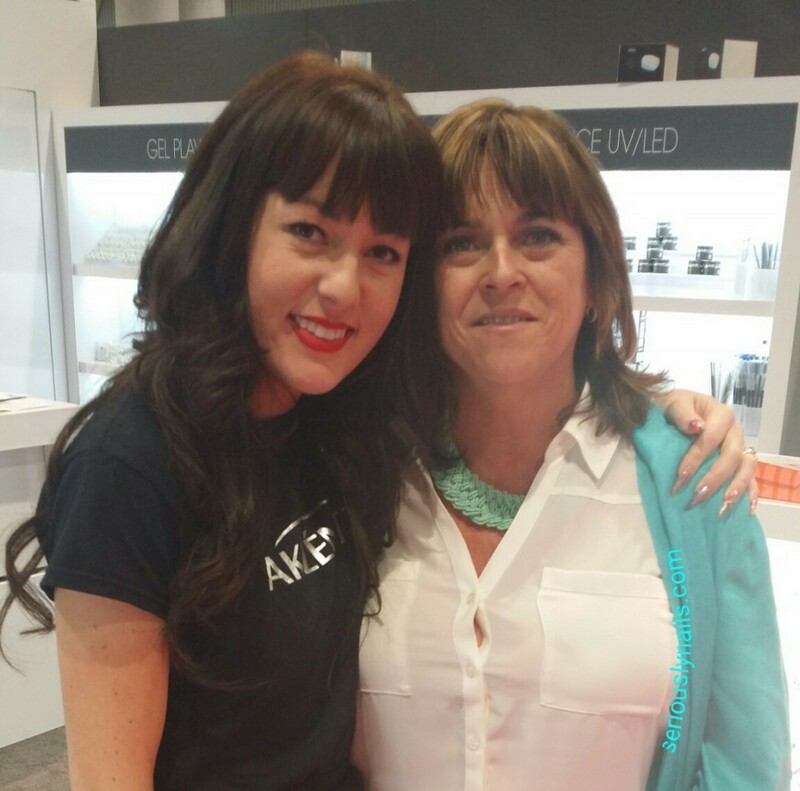 Liz is a licensed nail technician, educator for Akzentz and Liz is the distributor of Akzentz products for AZ, CO, NM, NV, UT. 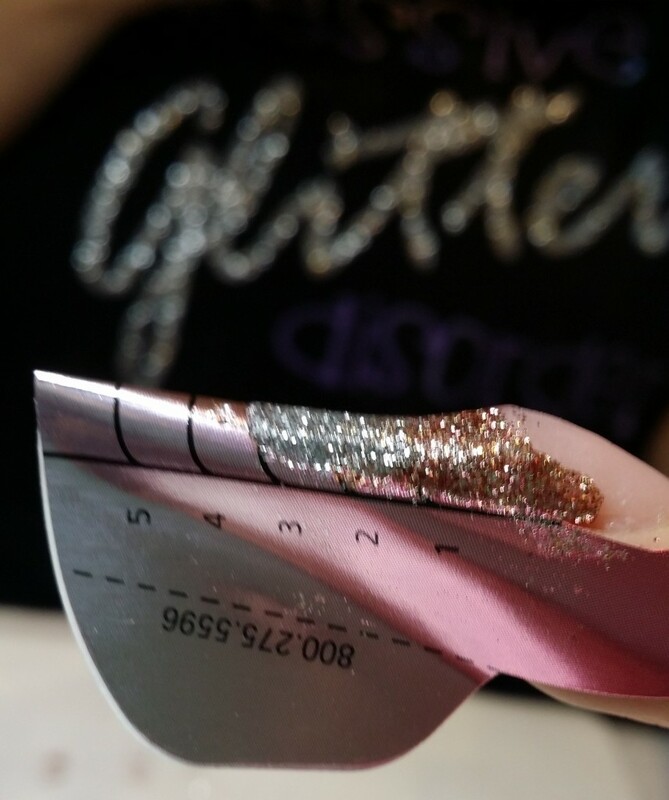 Akzentz is a Canadian company that was founded in 1989, so they have plenty of history and for the last 27 years, their goal has been to provide nail technicians with the products, tools and support to excel in the professional beauty industry. Liz and I at a show. Her territory as a Akzentz authorized distributor is large and as such she is looking for regional distributors to help get professional products out to professional people. 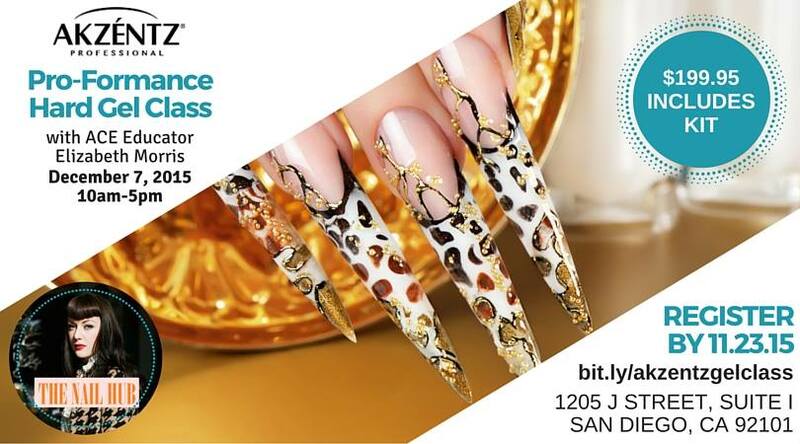 …to help educate nail techs of all ages and skill levels in a effort to create a more successful generation of nail techs’ and to elevate the industry as a whole. 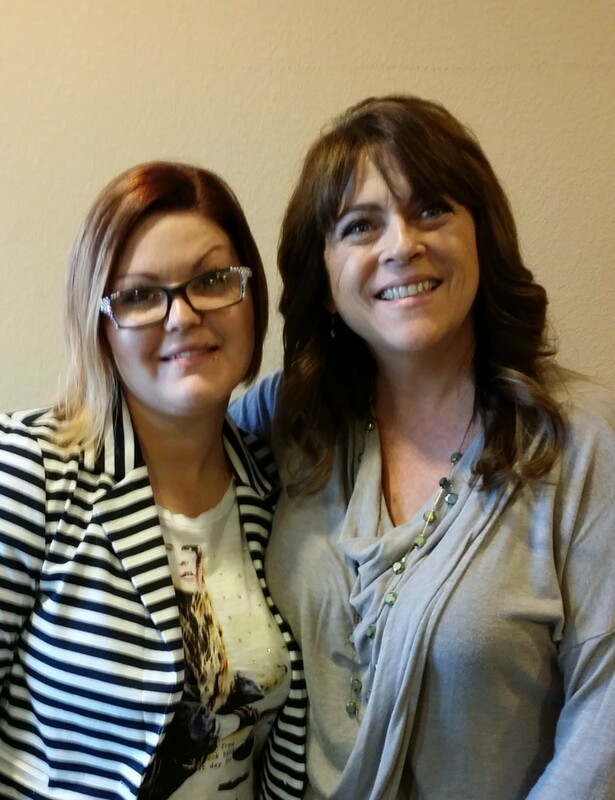 Recently, Liz welcomed Amanda Bowen-Trujillo to her team for Nevada. 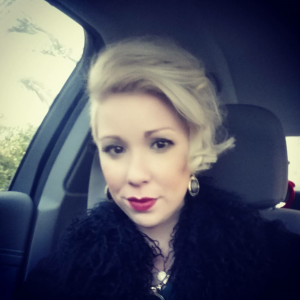 She is based out of Las Vegas and is very excited to be a resource for not only products but also support with anything you or your salon might need. 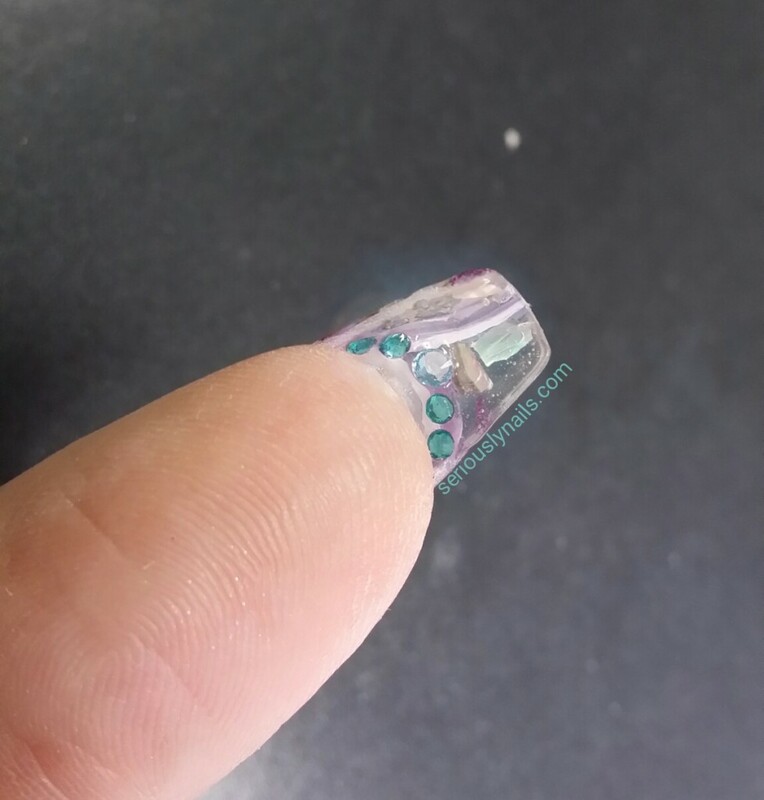 New tricks for a old nail tech! So, it has been awhile since I did any work with gels on a regular basis. 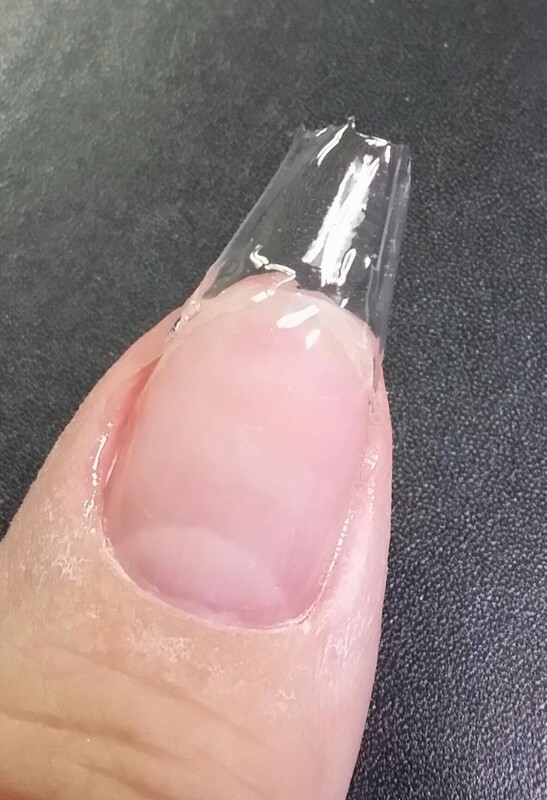 I admit that I am a die hard acrylic users. I know there are pro’s and con’s to both products. The reality is that I find doing acrylic on myself so much easier than doing gel. But hey, let’s face it, times have changed and products have improved. This posts is about learning some new techniques. 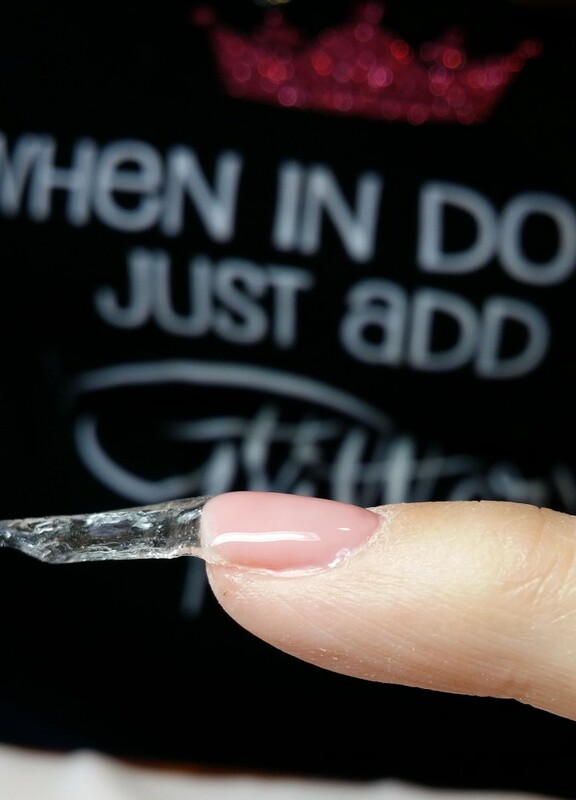 I am impressed with how Elizabeth Morris from The Nail Hub and Va Va Varnish showed how to get a perfect C Curve while using gel! 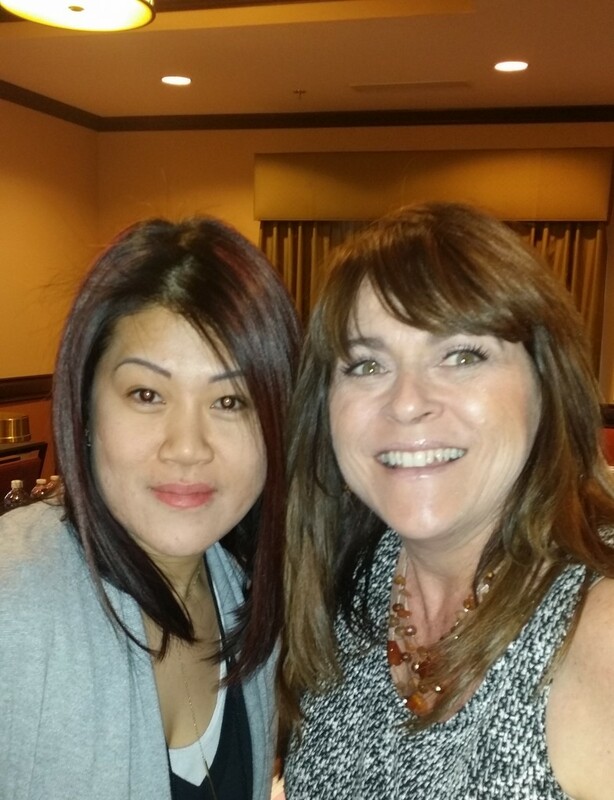 Plus, I wanted to share with one of my followers, Muriel, who lives here in Las Vegas and is going to take Elizabeth’s class in San Diego in December, the high quality training she is going to receive. Here is the C Curve I created after watching Elizabeth’s video. I realized that the gel is hard to capture on film, so I added the white lines so you can really get the idea of how it is curved so nicely. The view from above, you can really see how I pinched it in. 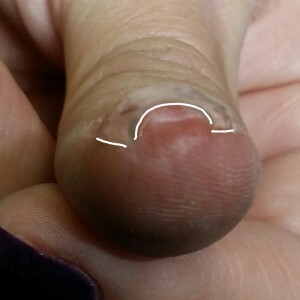 I have not filed this nail at all! Such a great technique. And here is the video that Elizabeth created so you can learn from it as well. If you are interested in learning more from Elizabeth here is the link for the class Dec 7th in San Diego! 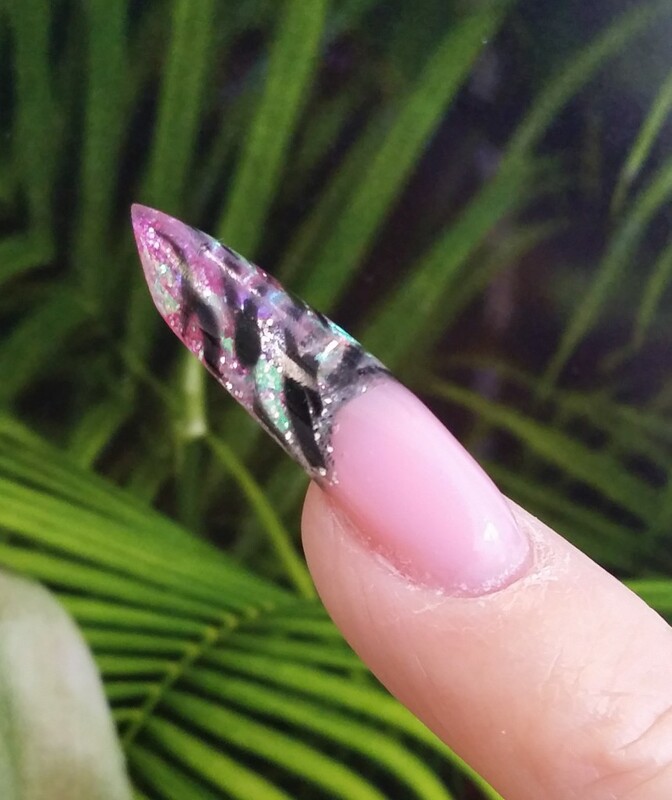 I have been doing nails for over 25 years, and I am so happy to be able to learn new techniques. 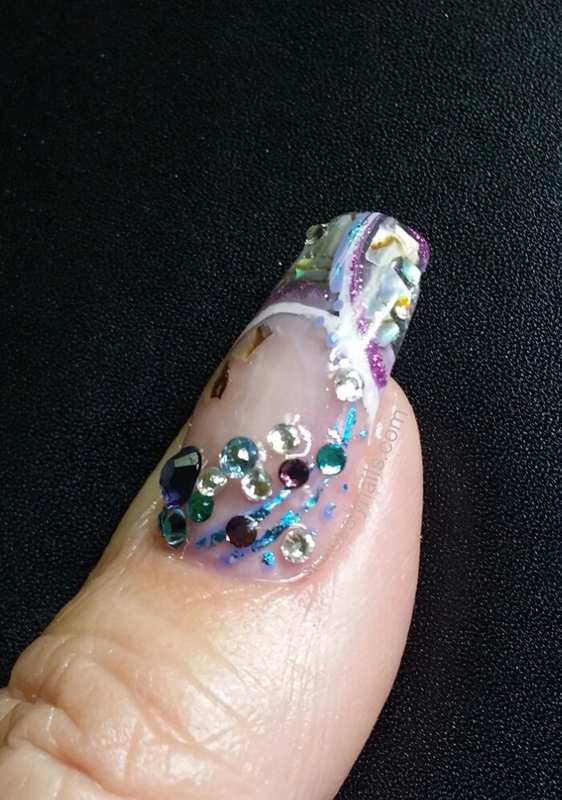 Oh and here is the finished nail! I added some mother of pearl from Athena Rocks, some stripping and some Swarovski® crystals of course! Learn Akzentz from a Pro! No matter what side of the continent you are going to be on in December, you have the chance to get some 1st rate education from ACE educator Elizabeth Morris. 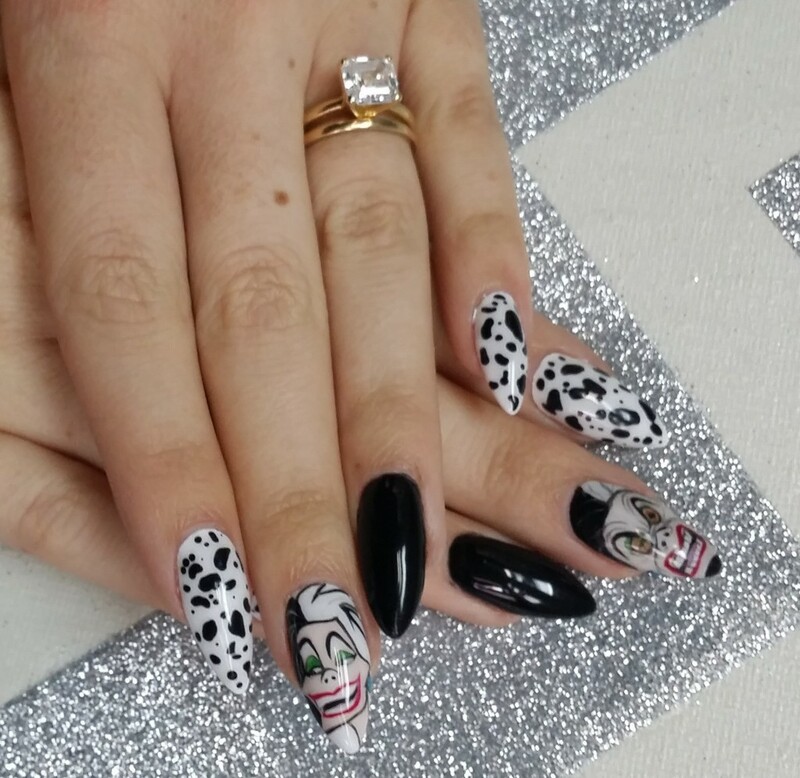 Elizabeth’s passion for the industry is only rivaled by her talents as a nail technician and artist. 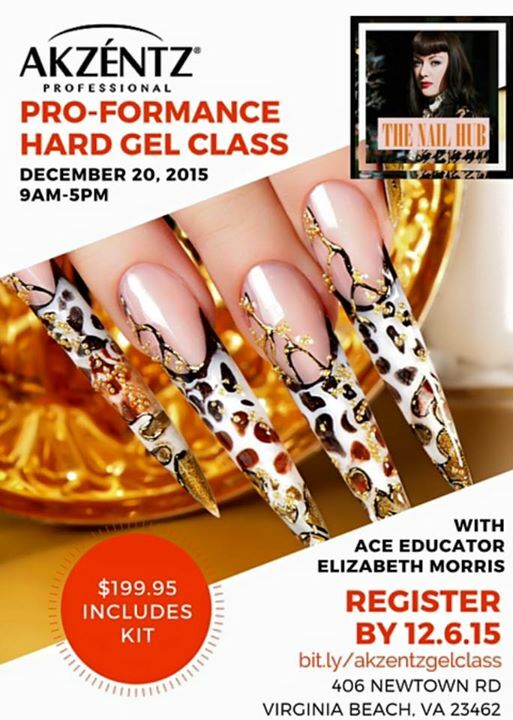 She is giving classes on Akzentz Pro-Formance Gel which includes certification from Akzentz! 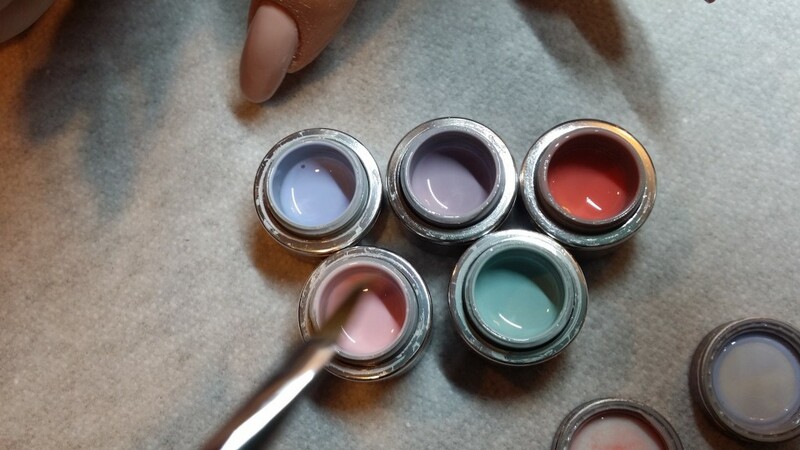 Elizabeth will also be teaching nail art to help you earn more money in your salon! 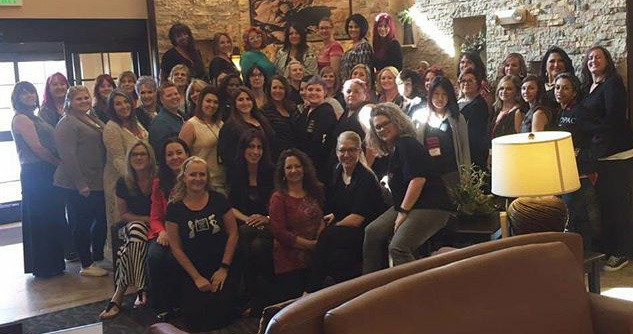 The first class will be on the west coast on Dec 7th in San Diego. Her second class will be held on the east coast in Virginia Beach on Dec 20th. These classes will most likely fill up fast as Elizabeth is super talented and her teaching skills are spot on.